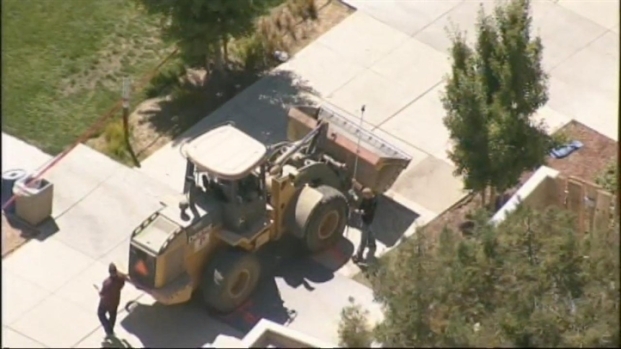 A woman was fatally run over by a backhoe-type tractor Tuesday at a San Jose City College construction site, officials said. San Jose fire crews responded to a report at 11:15 a.m. that a vehicle had struck a pedestrian near the school's multidisciplinary arts building. The victim was identified Wednesday as 49-year-old Magda Gonzalez of San Jose (photo below). Gonzalez was last a student within the Evergreen Community College District in the fall of 2009, according to officials. It is unclear whether she may have been on campus Tuesday to re-enroll. 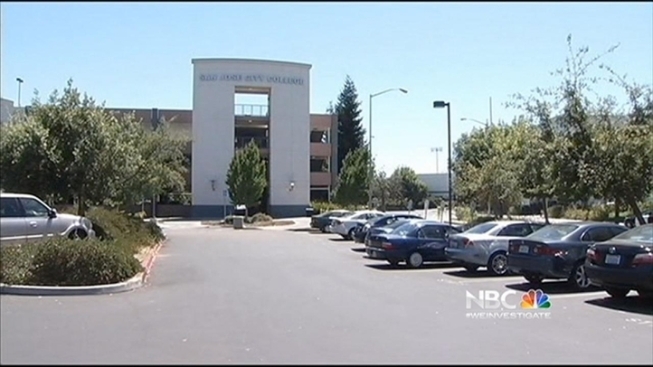 San Jose City College President Byron Breland said classes were not in session Tuesday, but that there were still visitors on campus. He said summer session had just ended, and the fall semester begins on Aug. 28. Breland said the accident occurred while crews were digging to gain access to an underground water valve as part of one of various construction projects on campus. 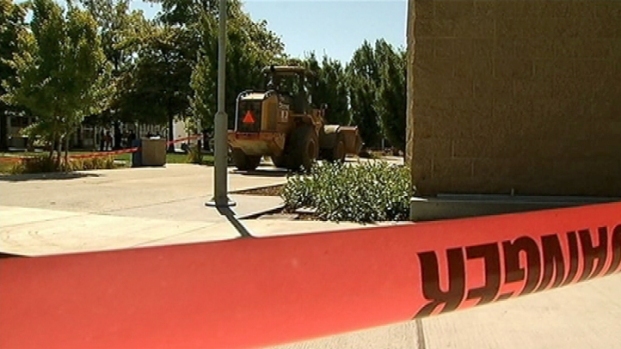 Authorities are investigating a fatal accident at a San Jose City College construction site. Kris Sanchez reports. A member of the construction crew called 911 immediately after Gonzalez was hit. She was taken right across the street to Santa Clara Valley Medical Center, but it was too late. She died. San Jose police took over the investigation, but haven't said how the victim came to be behind the backhoe, whether the area was not properly secured, or whether she was some place she was not supposed to be. San Jose Evergreen Community College Chancellor Rita Cepeda and San Jose City College President Dr. Byron Breland held a press conference and said their hearts go out to the family of the victim, but they would not say whether she was a student, a school employee or a construction worker. This is aerial video from above the scene at San Jose City College where a woman died Tuesday. "As a mother and grandmother, I want to reiterate my heartfelt condolences to the family of the individuals involved," Cepeda said. Cal-OSHA was notified of the incident at 12:30 p.m.
All construction on the campus was shut down for the day following the incident. The main contractor involved in the construction project on campus is Gilbane Construction. The subcontractor that was operating the backhoe is Preston Pipelines. "Our hearts and prayers go out to the family and the individual this happened to and while we’re our investigation continues, we’re doing some grievement counseling for our crews and anyone else that was on site at the time," Preston Pipeline COO Ron Bianchine said. Preston Pipelines has been involved in two Cal OSHA accident investigations in the past five years. One of them resulting in a violation for improperly securing a load.